If an Excellent Highway System, Competitively Priced Land, and a Centralized Location are Important to Your Success, This is the Place For You. 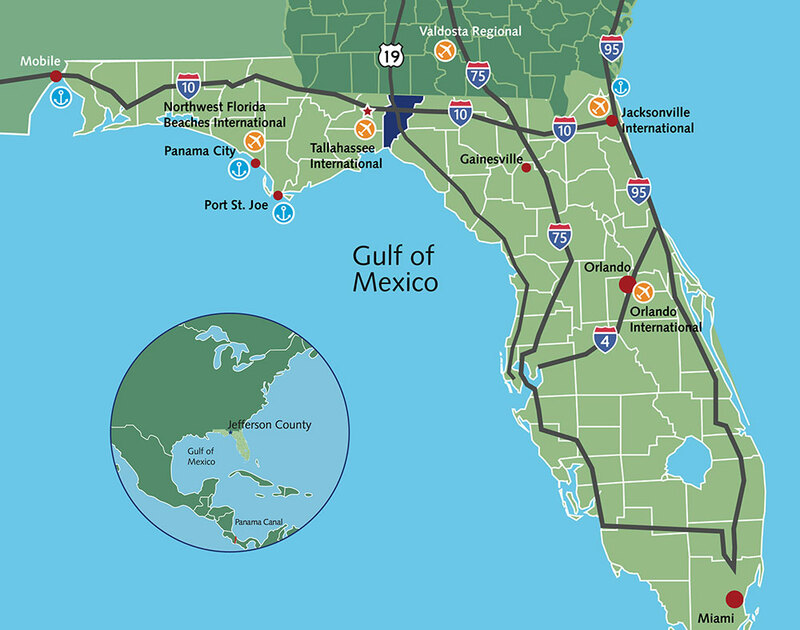 Located at the junction of Florida’s panhandle and peninsula, and stretching from the Gulf Coast to Georgia, Jefferson County is a strategic cornerstone for commerce in North Florida. It offers great potential for businesses and companies looking to relocate or expand. 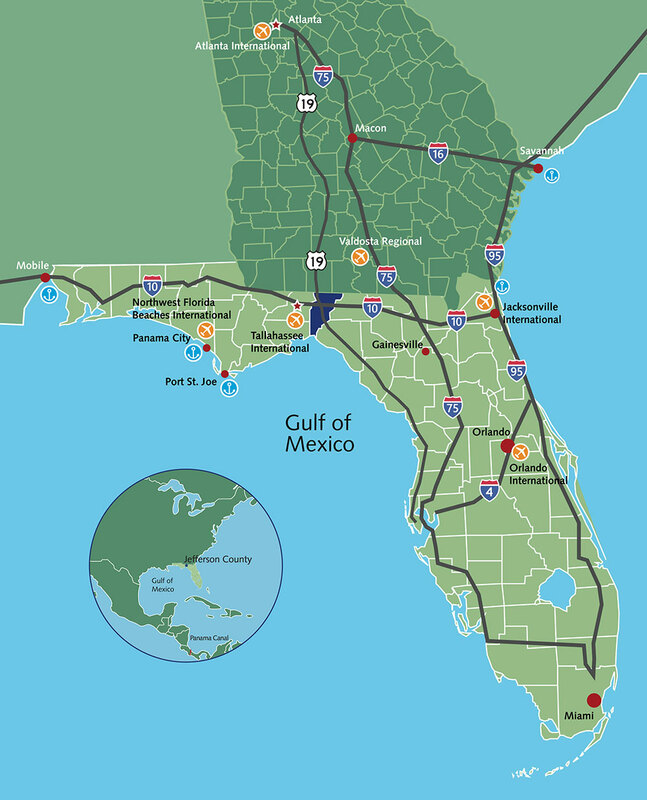 The county enjoys the benefits of being located within the Tallahassee MSA ( Metropolitan Statistical Area). You will find active business resources, a talented workforce and shopping & entertainment venues, yet our natural beauty and laid back lifestyle provide a quiet respite from urban confusion and stress. Jefferson County offers enormous potential for clean industry, commerce, agriculture and retail businesses with its regional draw, mild climate and easy access to logistical thoroughfares. The area’s natural beauty and historic quality of life provide your employees with a quiet respite while offering a multitude of cultural and entertainment choices only a short drive away. Jefferson County Economic Development is committed to assisting companies, site consultants and investors in finding the right site for their business. We also help existing businesses to thrive and grow. Jefferson County Economic Development is committed to advocating for your business.